For many young people, being awarded a scholarship is often the only option available for after-school education. Financial assistance of this nature, offers youth the opportunity to follow their dreams, while helping relieve the financial strain on parents or guardians. 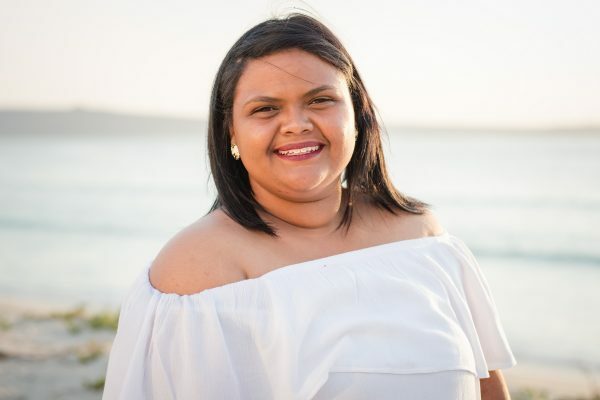 One such student benefitting from this is 20-year old Danielle Josephs from the West Coast town of Langebaan, who received a scholarship that allowed her to follow her dream of becoming a teacher. Now in her second year, studying towards a B Ed: Senior phase & FET Teaching Degree at Cape Peninsula University of Technology, an opportunity that would not have been possible without the support and funding. “The Umoya Energy scholarship means that my mom no longer has to work extremely long hours to afford my fees. The extra hours put a lot of stress on her and it also meant that our family hardly ever saw her, this was difficult as we are a very close family,” said Danielle. The Umoya Energy Scholarship Programme was launched three years ago to provide tertiary education funding for youth. The focus is to contribute towards human resource development in fields considered critical for the South African economy. Study fields include: Teaching, Engineering, Natural and Social Sciences, Environment and Nursing. “The Umoya Energy Scholarship programme targets high school learners across the West Coast who have limited opportunities to access scholarships, this also means that they don’t need to compete against learners from other provinces,” explained Veronique Isaacs, Regional Community Operations Manager for Umoya Energy Wind Farm. In addition, Danielle was able to use the money she’d saved from working during the holidays towards purchasing her own car, instead of having to use it towards her tuition fees.